database. Larger firms sometime favor traditional phone lines, while smaller organizations opt for a more cost-effective digital phone network. Depending on your needs, you may want a simple multiple line system or a complex switchboard that can integrate with your business information technology infrastructure. Due to their added features, commercial telephones typically cost 75 to 120 percent more than residential systems. 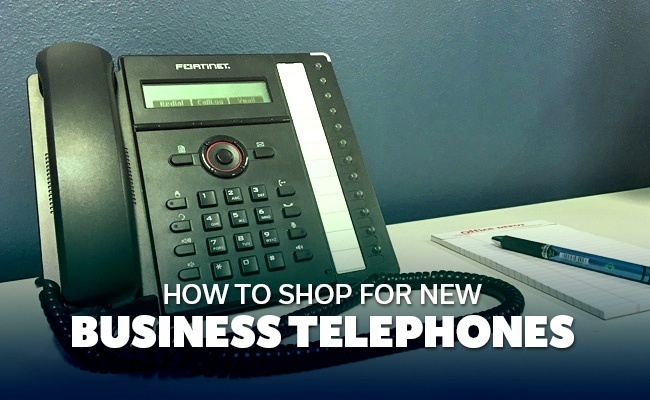 Before purchasing new equipment, it is important to understand how to shop for new business telephones. Businesses normally require more lines and features than home telephone networks. Whether a calling plan fits into the company budget and permits communication in your firm’s geographic area are also important considerations. Additionally, while call waiting and an answering service may satisfy a residential consumer, a business may need additional features. Finally, commercial establishments receive expedited support, as a firm’s communications reliability can affect its profits. When buying new business telephones, you should first establish how you want your employees to use the system. A good fit increases your staff members’ efficiency and provides a quantifiable return-on-investment. Some firms can function with call forwarding to mobile devices, while other companies need dedicated phone lines and a fully staffed call center. 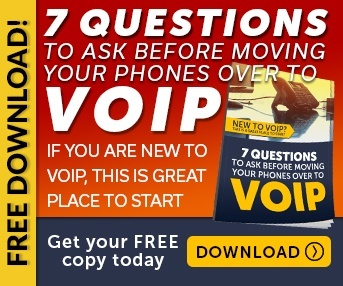 Finally, you must decide whether to use traditional landlines or the latest in telephone business technology – Voice over Internet Protocol (VoIP). Traditionally, firms have relied on landlines, but as business information technology has evolved, more companies have chosen to install VoIP technology. With traditional landlines, telephone service technicians install public switched telephone networks (PATNs) that relay analog voice signals. To operate this system, you also need on-site private branch exchange (PBX) equipment to manage your telephone traffic. Although reliable and proven, landlines are costly and require an adept business IT department to maintain. For smaller firms that do not desire to take on this expense, a VoIP system may prove to be more efficient. This technology provides the same quality as traditional landlines, as long as your Internet service is reliable. If your needs do not warrant traditional landlines, there is another detail to consider when formulating how to shop for a telephone system, which is whether to host your network on-site or in the cloud. On-site equipment offers you full control, but you have to buy and maintain the equipment, concerns which you can eliminate with a cloud network. 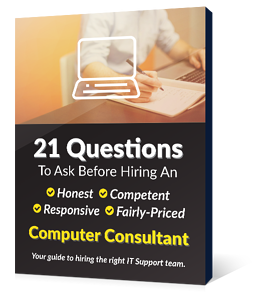 If a firm decides to install telephony equipment on-site, they normally have an established IT department. As your company expands, you may have to purchase more equipment. Alternatively, your service provider handles cloud-based expansion. It is important to investigate your new potential business partner by making sure that the service is not subject to frequent outages. Poor communication with your consumers or clients can ruin your company’s reputation. Business telephones come with more features than residential telephones. Depending on your requirements, you may want a basic multiple line setup or a complex PBX network. Before you begin shopping, make sure that you know what you want to accomplish. Next, decide whether you will install traditional landlines or a VoIP system. If you have a larger firm, and need to integrate your telephony data with your business information technology legacy systems, traditional phone service may work for your organization. Alternatively, VoIP technology, which is less expensive, typically works well for smaller firms.